Calidad Enterprises can replace, restore or update your property. With our staffed Texas insurance adjuster we can assist with your insurance claims and supplement items that may have been missed to ensure that your property gets rebuilt like it never happened. At Calidad Enterprises we go the extra mile for all of our customers. We bring knowledge of insurance support, twenty years of roofing experience, a Corning Platnium preferred roofing contractor using Corning premium materials with a Lifetime shingle warranties. Also have worked as a GAF certified roofing partner. We are a General Contractor and a Remodeling, Restoration Company that can rebuild or restore all damaged items from any storm, fire or flood event. As a full service general contractor, we can handle any roofing, restoration and remodeling service your home may need. We specialize in storm damage restoration and work with all insurance companies and can assist you with filing your claims. Calidad Enterprises has been serving the North Texas area for more than two decades. Our mission is to provide the highest quality work, whether you need a roof repair, water damage restoration, or kitchen remodeling. Whatever contractor service you need for your property, make us your first call. We offer free estimates and are available 24/7! Our company specializes in helping the insured restore their homes. We repair and replace roofs, gutters, siding, windows, fences, drywall and more. We also do interior remodeling and room additions. With a licensed Texas insurance adjuster on staff we also handle water and fire damage restoration. Going the extra mile for our customers has earned us a reputation for consistently delivering exceptional roofing services. We are available to repair, replace, and install all types of roofing systems including composite, metal, tile, TPO, modified bitumen, wood, shingle, and flat roofs. We have a crew on standby at all times for any emergency roof repairs. If your roof has been damaged by heavy rains, a tornado, a hurricane, or other severe weather, contact us right away. If you’d like more information on our impact resistant roofing options or roof coatings, don’t hesitate to give us a call. We are an Owens Corning preferred roofer, which means we can offer our customers a 50-year warranty on new roof installation. We also over a 10-year workmanship guarantee on all new roof installations. Contact us today to learn more about our available warranties. If your home or business has suffered from water, fire, or mold damage, call us immediately! We will come out and take care of the entire restoration process, from removal to cleaning. 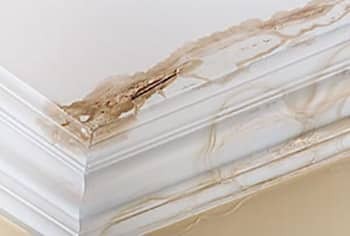 If your home or business has flooded thanks to burst pipes, storm waters, or foundation leaks, we will work quickly to make sure your home or business is completely dry and free of any musty odors! We secure the property to stop any more water from coming in and begin the removal process. Water extraction needs to be done as soon as possible to lessen the chance of mold growth. Even a small amount of fire damage can seem insurmountable to the untrained eye. With our knowledge and skill set, we will handle every aspect of fire damage, including removing the lingering odor of smoke from your property. We won’t rest until your home or office is back to its original pristine condition. Mold removal is not a job for a novice. In fact, after we complete the extensive mold restoration process, the contents we capture in the filters of our extraction equipment are considered hazardous waste because of how serious a risk mold is. If you are interested in kitchen or bathroom remodeling, we would love to work with you to custom design a plan you’ll be thrilled with. 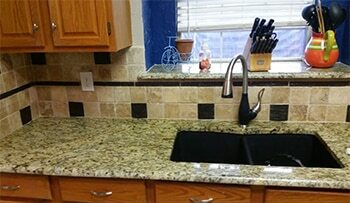 Our talented team members specialize in bathroom and kitchen remodeling. Our remodeling crew handles everything from the paint, flooring, and wiring, so you don’t need to contract multiple companies to get the job done. We have plenty of material and style options for you to choose from; call us today to start creating your dream kitchen or bathroom. If your home has suffered from storm damage, call us! Navigating the insurance claims process on your own can be a tricky endeavor. We will review your insurance claim and supplement the insurance company on items missed on your claim to ensure you are paid correctly which will allow us to restore your home as it was before the storm. Our insurance claims specialists understand the way the insurance carriers operate, and this allows us to make sure your claim is approved. We will meet with the insurance adjuster for the inspection and advise you on the proper documentation to submit. Let us help take the stress out of dealing with the insurance company! When you need any of our general contractor services, we are just one phone call away. If you would like to schedule a roof inspection, set up a remodeling consultation, or have a restoration emergency, give us a call. We provide roofing, restoration and remodeling in Carrollton, Plano, Frisco, Richardson, McKinney, The Colony, Lewisville, Highland Village and all nearby areas in North Texas.